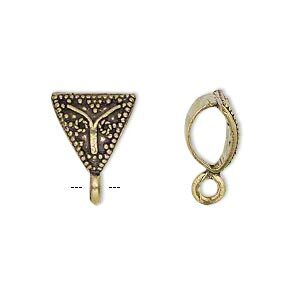 Bail, antique gold-finished brass, 13x11x11mm single-sided beaded triangle with closed loop, 5.5mm hole. Sold per pkg of 4. 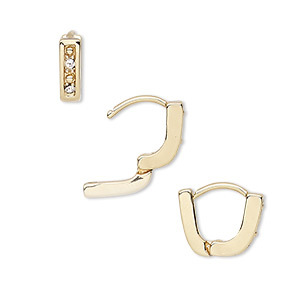 Item Number: H20-A2381FN Have a question about this item? 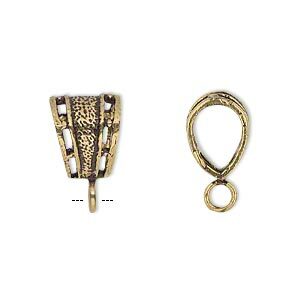 Lightweight cast brass bails showcase an intricate design of dots and curlicues. Bail accepts stringing material up to 5.5mm. 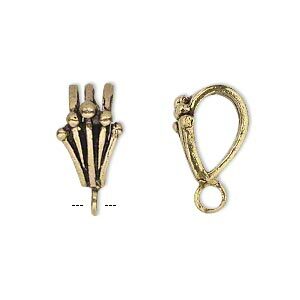 These jewelry-making components are finished with antique gold to bring out the complex surface detail. 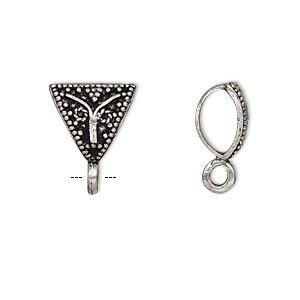 Bail, antique silver-plated brass, 13x11x11mm single-sided beaded triangle with closed loop, 5.5mm hole. Sold per pkg of 4. 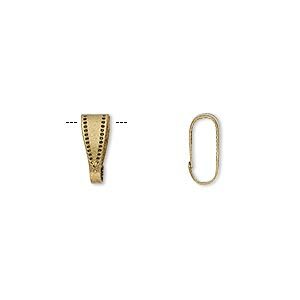 Bail, antique gold-finished brass, 15x10mm single-sided crown with closed loop, 7mm hole. Sold per pkg of 4. 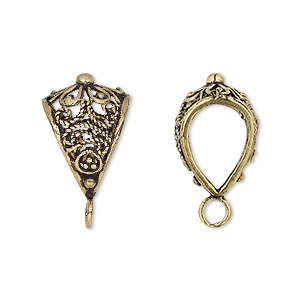 Bail, antique gold-finished brass, 18x13mm filigree with flower design and closed loop, 10mm hole. Sold per pkg of 2. 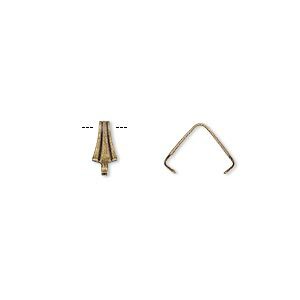 Bail, ice-pick, antique gold-plated brass, 8x3.5mm, 6mm grip length. Sold per pkg of 100. 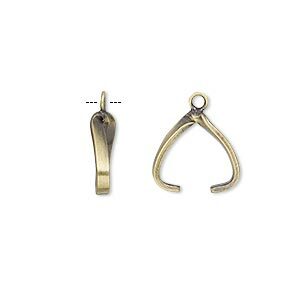 Bail, antique gold-finished brass, 12x10mm textured with closed loop, 7mm hole. Sold per pkg of 4. 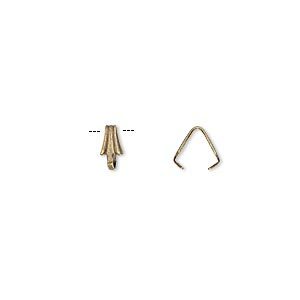 Bail, ice-pick, antique gold-plated brass, 6.5x3mm, 5mm grip length. Sold per pkg of 100. 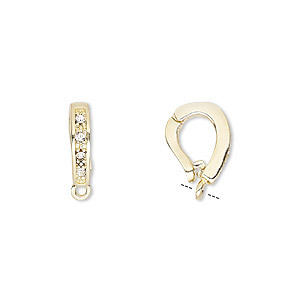 Bail, Czech glass rhinestone and gold-plated brass, clear, 10x3mm single-sided hinged oval, 7mm grip length. Sold per pkg of 2.